What is a Covered “Collapse” for Insurance Purposes? Recently, the Fifth District Court of Appeal issued the opinion of Kings Ridge Community Association v. Sagamore Insurance Company, clarifying what constitutes a covered “collapse” under an All Risk Business Owner’s policy. 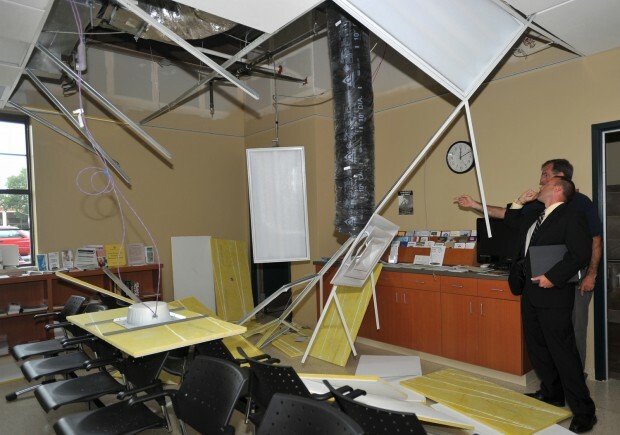 On February 24, 2010, the association’s clubhouse began to shake, which was apparently caused by a failure of the roof trusses, which had deflected downward by approximately twelve inches. As a result, the drop ceiling and soffits deflected downward, and there was a substantial depression in the flat roof. The association made a claim to Sagamore, the insurer which had issued an “All Risk” policy. Sagamore instituted an action for declaratory relief seeking a determination as to whether the damage caused by the truss failure constituted a covered loss. It was undisputed that the failure of the roof trusses was caused by ponding rain, heavy A/C equipment and defective truss construction. (d) A building that is standing or any part of a building that is standing is not considered to be in a state of collapse even if it shows evidence of cracking, bulging, sagging, bending, leaning, settling, shrinkage or expansion. Moreover, “standing” is defined as “upright on the feet or base; remaining at the same level, degree, or amount for an indeterminate period.” Merriam-Webster’s 1216. Prior to the incident of February 24, 2010, the drop ceiling, flat roof, and trusses were upright on their base and had remained at the same level, degree, and amount of height for an indeterminate period. At the time of the incident, they collapsed. Immediately after the incident, they were no longer upright on their base; they were no longer at the same level, degree, or amount of height that they had previously maintained. Therefore, by definition, the drop ceiling, flat roof, and trusses are not standing and this section [these sections] does [do] not apply. The court held that the policy was subject to two different interpretations and thus ambiguous. Consequently, as ambiguous policies are read in favor of coverage, the association was entitled to coverage. When dealing with insurance issues, it is important to carefully consider the insurance carrier’s position in light of the policy language. Our South Florida community association lawyers have a great deal of experience with insurance issues, and we are available to respond to associations’ insurance questions and provide counsel on all insurance matters. We write regularly about important issues such as this for community associations in this blog, and we encourage association directors and members as well as property managers to submit their email address in the subscription box at the top right of the blog in order to automatically receive all of our future articles.